This is a GREAT toy part for making safe, shreddable toys. 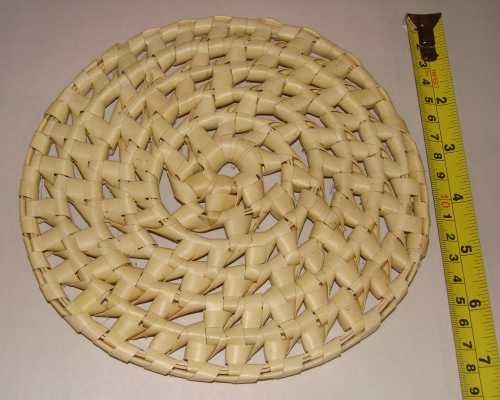 Totally woven disk made from dried palm leaves. 7 inches across in a spiral pattern with many holes to add toy parts, hang in a cage, attach to the side of the cage, or give as a foot toy to big birds. My parrot LOVES this shredder. As soon as it's placed in her cage she starts playing and shredding it up. Great product, I highly recommend it for anyone that needs to keep their birds entertained.